According to a healthecareers.com article, Mental health Nurses are typically part of a healthcare team that includes Psychologists, Social Workers, Psychiatrists, Occupational Therapists and other healthcare assistants. Psychiatric Nursing is a demanding profession but many Nurses find it rewarding and ideal for their qualifications. It can be a financially rewarding specialty as well. An article by the American Psychiatric Nurses Association says, the Psychiatric Mental Health Registered Nurse develops a Nursing diagnosis and plan of care, implements the Nursing process, and evaluates it for effectiveness. Psychiatric Mental Health Advanced Practice Registered Nurses (PMH-APRNs) offer primary care services to the psychiatric-mental health population. PMH-APRNs assess, diagnose, and treat individuals and families with psychiatric disorders or the potential for such disorders using their full scope of therapeutic skills, including the prescription of medication and administration of psychotherapy. 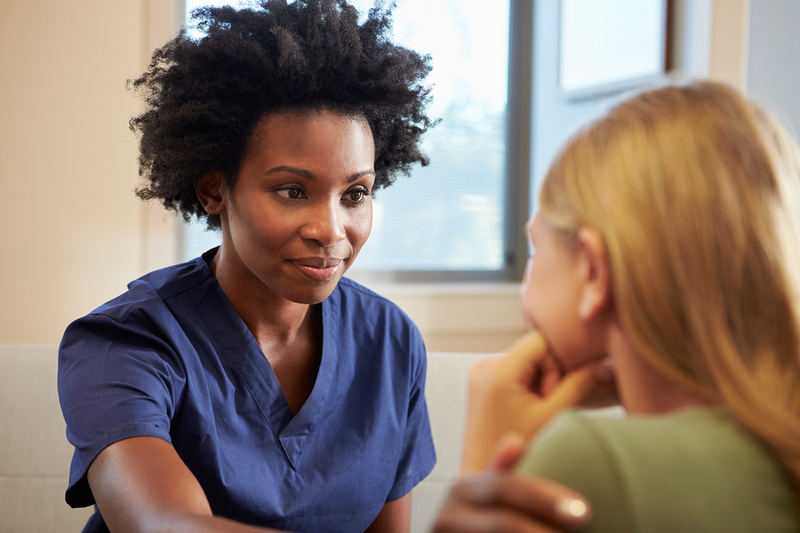 Interpersonal Communication and Collaboration – Psychiatric Nurses should have good one-on-one people skills since they help administer biopsychosocial assessments and work to educate clients and families on therapies and medications. Problem-Solving – Help assess patients by using the psychiatric diagnostic classification systems and observing and examining the patient's behaviors. Attention to Detail – In addition to problem-solving, it is important that Psychiatric Nurses demonstrate care and meticulousness since their duties can include educating patients about psychopharmacologic drugs, administering such drugs, and monitoring patients taking psychopharmacologic drugs as well. Allnursingschools.com discusses education and certification requirements. Psychiatric Nurses must be Registered Nurses. Although 4-year Bachelor of Science in Nursing degrees are preferred, you may choose to begin your career with a 2-year associate’s degree or a 2- to 3-year diploma through a hospital-based training program. To become a Psychiatric Nurse Practitioner or Clinical Nurse Specialist, you will need additional education at the graduate level, usually two-year Master of Science in Nursing (MSN) degree. Psychiatric Nurse Practitioners are Advanced Practice Registered Nurses (APRNs) who earn master’s degrees in psychiatric-mental health Nursing. The occupational outlook for Nurse Practitioners in the field of mental health Nursing is 31%, according to a NurseJournal.org article, which is much faster than other positions within the United States. This job has seen an increase in need for licensed Nurses as mental health awareness has begun to rise throughout the country. The average rate of pay for a mental health Nurse is $96,460 per year or $46.37 per hour. Are you a Mental Health Nurse? Do you enjoy your career choice? We would love to hear about your experiences. Please comment below. Thank you!